The world's top economies are experiencing growth in sync, the Wall Street Journal reports based on data from the Organization for Economic Cooperation and Development, which tracks economic growth in 45 countries. This year, 33 of them are expected to experience accelerated growth from last year. Why it matters: Economies across the globe are finally healthy after a string of crises that had worldwide reverberations. 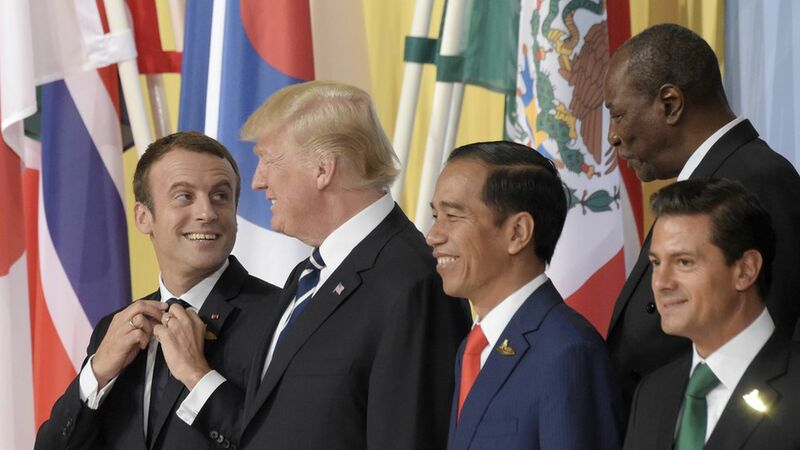 But "the development comes, ironically, just as nationalist movements in the U.S., Europe and beyond have gotten a new life, driven by suspicion over global trade and finance," Josh Zumbrun of the WSJ writes. The IMF predicts global output will grow 3.5% this year, up from 3.2% in 2016. The worst year in recent history was 2009, which saw 36 shrinking economies. Greece is at a turning point, with 1% percent growth predicted — the best in 10 years.